Our journey started in May 2016, in South Delhi, with two scooties and ten women. These women from disadvantaged backgrounds were given two wheelers, communications and basic logistics traning. They are now employed as delivery women with us. We are a last mile logistics solution provider to e-commerce companies. Stories of Pooja, Priyanka, Yasmin and many others have inspired other girls like them to join us in the pursuit of becoming self-dependent. “I never felt like a delivery girl. The customers always give respect and I feel a sense of dignity in doing my work. Life seems to be altering after joining Even Cargo. I gained knowledge and acquired self confidence by meeting people. It helped me learn about myself through the journey with Even Cargo. All I want for now is to work and earn money. 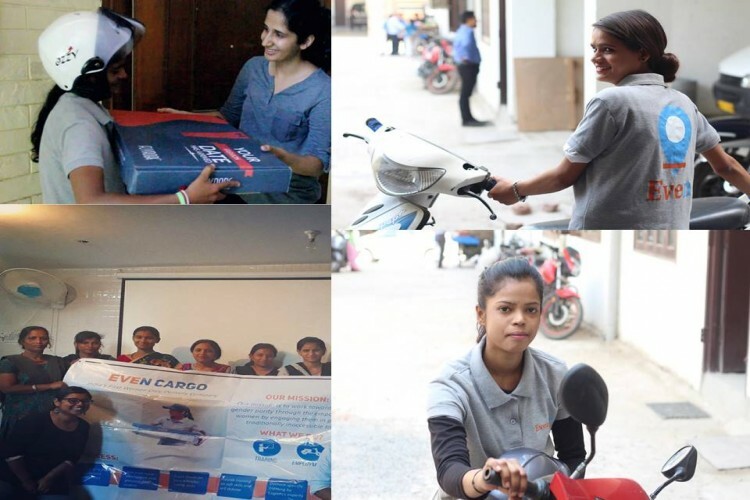 I want to earn for myself to become an independent woman “, says Priyanka, a delivery partner girl at Even Cargo. Currently, we are in expanison mode and plan to add 100 more girls by the end of 2017 for our operations. We urge you to contribute to us so that we can buy more scooties for these girls. We plan to buy 5 more scooties @Rs 60,000 per scooty($920), which will ultimately be owned by these girls. We plan to create assets for these girls so they can earn their livelihood and achieve self dependence. Please help us in achieving our goal to empower women and bringing more women into the formal sector. Your share could be as good as a donation for Even Cargo! Not everyone can afford to take care of their loved ones. Even Cargo's life can only be saved by donations made by kind people like you.